You Won't Do Better Than Yach's! 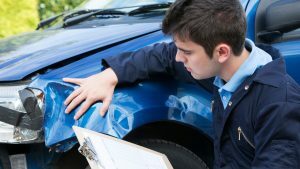 With over 60 years of service and experience, you can trust our family at Yach’s Body and Custom to repair your vehicle right! Our I-CAR Gold trained technicians will get you back on the road safe and sound! Call us to schedule your appointment or fill out our online form. 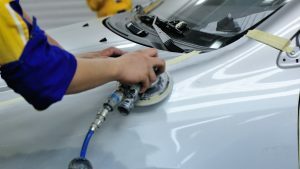 When you have a ding or dent that needs fixed, our technicians at Yach’s have the equipment and training to get that dent out (usually) faster and for less money than traditional dent repair! 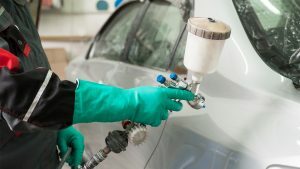 We can handle all post-collision repairs, big and small! 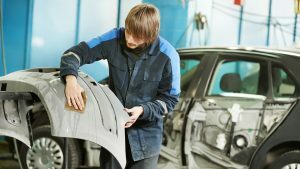 Our certified auto body repair center has been in business for over 60 years helping our customers get back on the road. 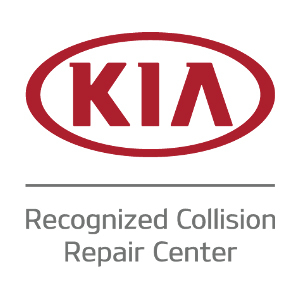 We are trained to repair vehicles to manufacturer’s standards and are part of several certification programs: FCA (Fiat, Chrysler, Dodge, Jeep, RAM, SRT and Mopar), Nissan, Kia, Ford and Hyundai. As a Ford Certified Repair Program, we have the capability and equipment to make repairs on aluminum-bodied vehicle like the F-150 truck. 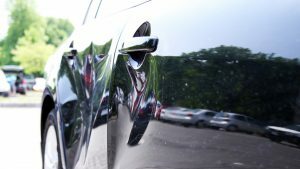 Aluminum vehicles are lighter, fuel-efficient and require extra attention during the repair process. Let the experts at Yach’s Body and Custom take care of your F-150, Cadillac CTX or another aluminum-framed vehicle. 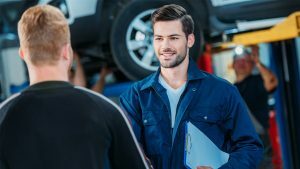 Our experience and service is matched with our Lifetime Limited Warranty on our workmanship which gives our customers peace of mind when trusting your vehicle to us. If you need a rental car while your own car is in the shop with us, we can set you up with a rental quick and easy with our on-site service! We had a bad storm in our town and had a lot of hail damage. You and your team got our car back up and running in no time. Thanks! Hands down the best body shop! You guys got the ball rolling with my insurance company when I wasn’t being contacted and when they kept prolonging the estimates on my truck to get fixed. You guys took the time to help me and pushed for my insurance company to get things done. Amazing people! I fully trust my truck in your hands and couldn’t have chosen a better place to go. Big shout out to Betty! She is at the front desk and is one of the best! My car was rear ended by another car and hit a wall in the front. It had a fully broken bumper at the back and a crushed bumper at the front. They took real good care of my car. The final result exceeded my expectations. At the last minute they even found a mechanical damage and got it fixed through the Honda dealer. I trusted them without any doubts and they delivered. I would highly recommend this place. Very pleased with everything from front to finish. Customer service is excellent. Place is clean. Staff are so friendly. Follow up calls. You name it! My bumper was replaced and in excellent shape and car cleaned and vacuumed. They even fixed my trunk button which wasn’t automatically opening. Thank you so much. It saved me time from fixing it. Will definitely use again and sending referrals.